Start at the parking lot of cafe Simmereinöd. 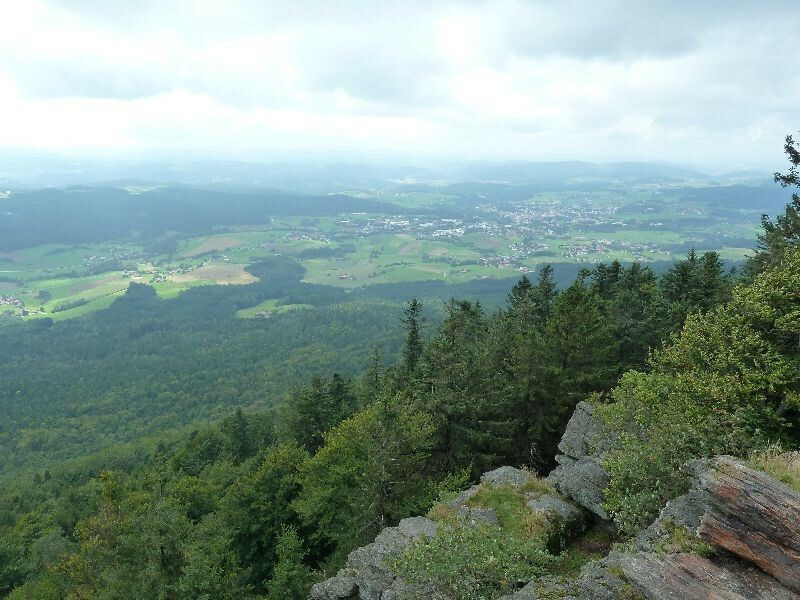 Now walk onto hiking trail A6 and follow the golden „S“ of the hiking trail called Goldsteig. Turn right onto a path towards Kötztinger Hütte. On a rocky path hike upwards, pass the cave Räuber Heigl Höhle and reach the ridge of Kaiterberg. From the ridge it's only about one kilometer till you reach Kötztinger Hütte. Simply turn right and follow the golden „S“, which marks Goldsteig trail. Right behind Kötztinger Hütte you will see a cliff called Mittagsstein. There you'll have a perfect view accross the valley Zellertal. After a short break take the same way back. Shortly after the ascending trail follow Goldsteig further through Steinbühler Gesenke. Afterwards you will reach the impressive Rauchröhren. These are clinging towers of rock, which are very popular with climbers. 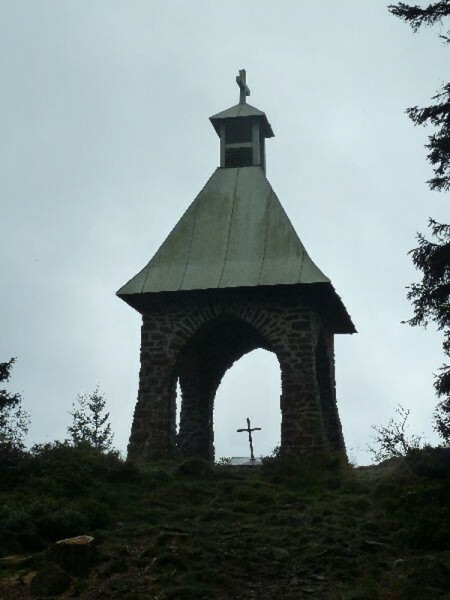 Now hike upwards to Großer Riedelstein and its mountain hut. 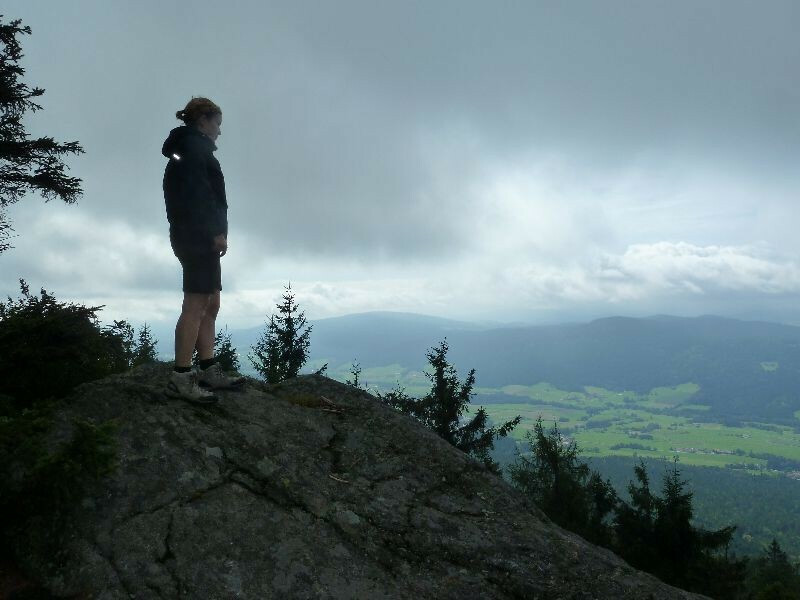 At the top you will be rewarded with a grand view across the peaks of Bayerwald. Continue walking to the cable car station of chairlift Eck. Now turn left onto hiking trail A10 and walk alongside the ski slope. After getting on a forest road turn right after approximately 100 m into a forest track. At Eschlsaign continue on H5 towards Simmereinöd. After a short time on the street turn left into a forest track. Continuously descending you'll reach a small pond. From there turn right until you reach a hut after which you keep left and keep descending. Soon you will reach the stream Arracher Bach, which you will follow until you reach the starting point of this hike namely cafe Simmereinöd. You will often ascend steeply. 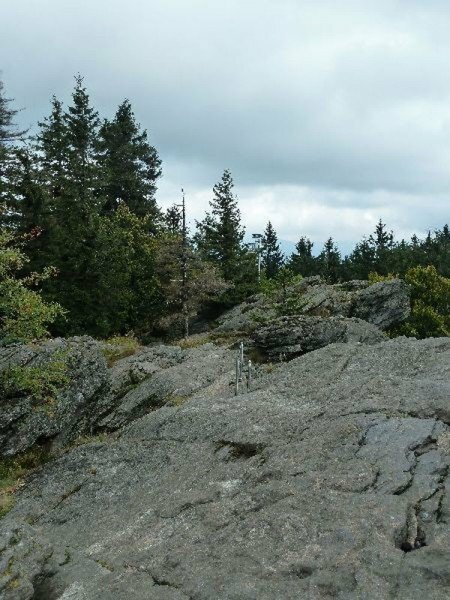 You will also have to overcome many roots and rocks on the trail, so hiking boots are mandatory.